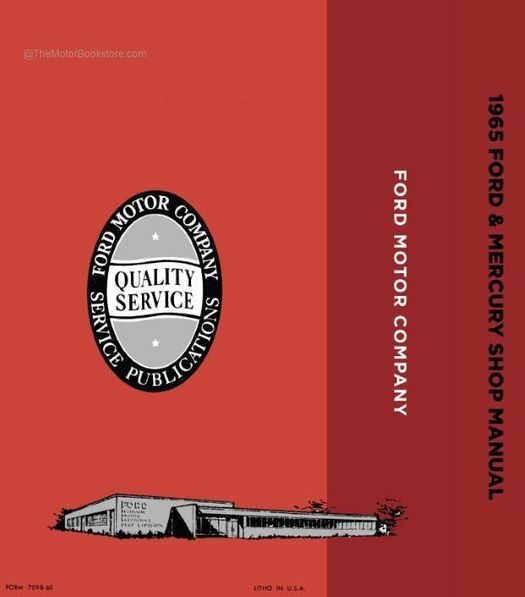 The OEM 1965 Ford and Mercury Shop Manual is a high quality authorized licensed reproduction of the actual service & repair manual published by Ford Motor Company for its dealership mechanics. In the automotive reproduction and restoration industry, it will become your goto tool without a doubt. 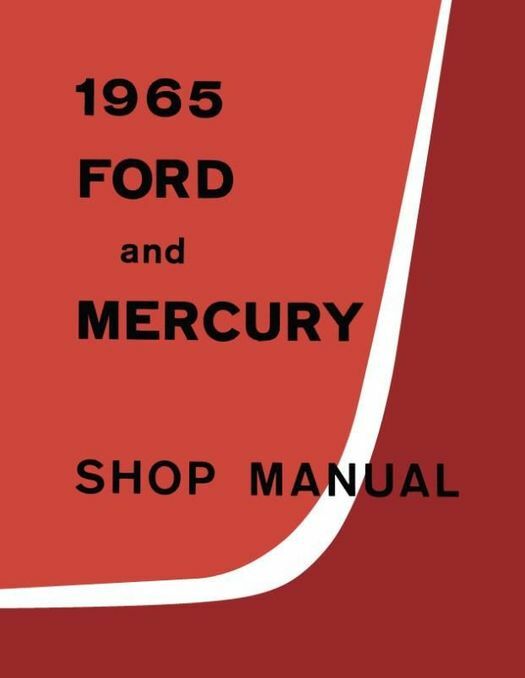 In the spirit of the restoration and reproduction of cars and trucks, this original manual was also restored and reproduced in new, high quality form and shrink wrapped to protect it during transit to your home or shop. Chapters are arranged by major topics such as Engine, Automatic Transmission, Ignition System, etc. Text is clear and in many cases organized in a stepwise manner. Detailed black & white photos and illustrations compliment the repair, assembly or disassembly steps. 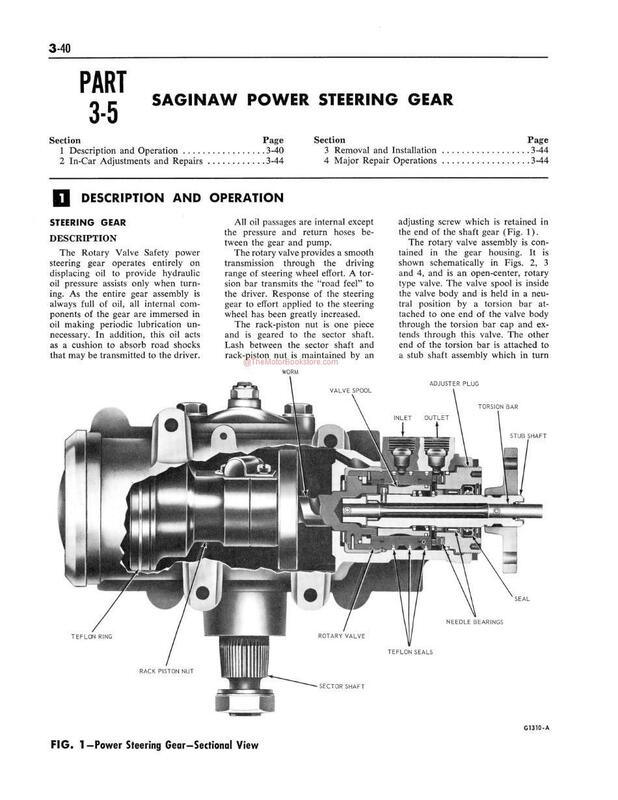 Detailed assembly diagrams of components such as fuel pumps, distributors, etc. to promote clear re-assembly direction. Charts with specification information throughout. Detailed Index at the end of the book provides quick and easy lookup for specific topics of interest. The 1965 Ford & Mercury Shop Manual will definitely help the mechanic or restorer rebuild, repair or service their vintage Ford or Mercury. The FORM 7098-65 OEM reproduction includes 720 pages of detailed repair and rebuild information for the DIY mechanic. Refer to the Table of Contents tab to learn more about this book's contents and organization. The Motor Bookstore has been servicing DIY mechanics since 1997. We believe in providing the best customer service possible. Please call us if you have any questions at all. 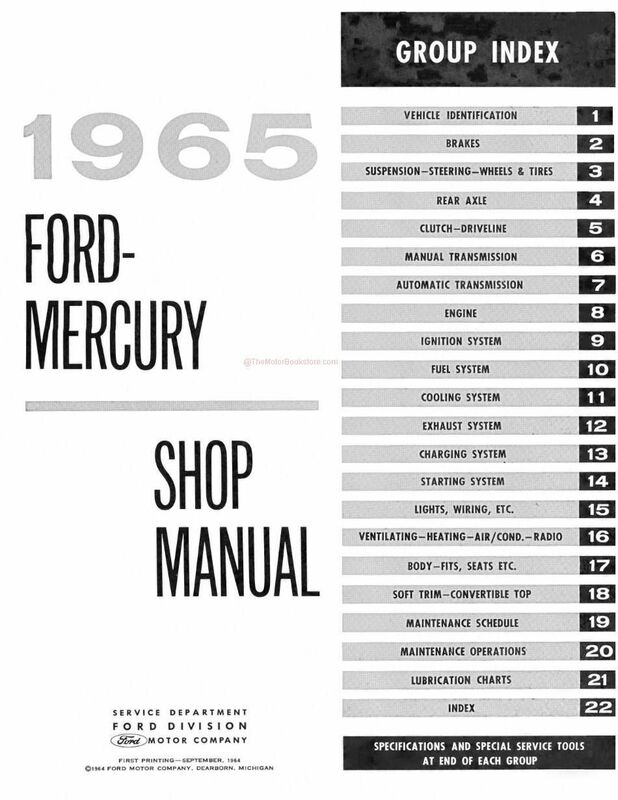 Below: 1965 Ford & Mercury Shop Manual Sample Page. Copyright Ford Motor Company. Ask a question about 1965 Ford and Mercury Shop Manual.